People walk, and walk and walk... Life keeps on going on... I don't know why but as days pass am getting more sedate as time passes. Silent, SAROO, difficult. That's what I am becoming. Yet am loving my expression these days as well as the things which am making. 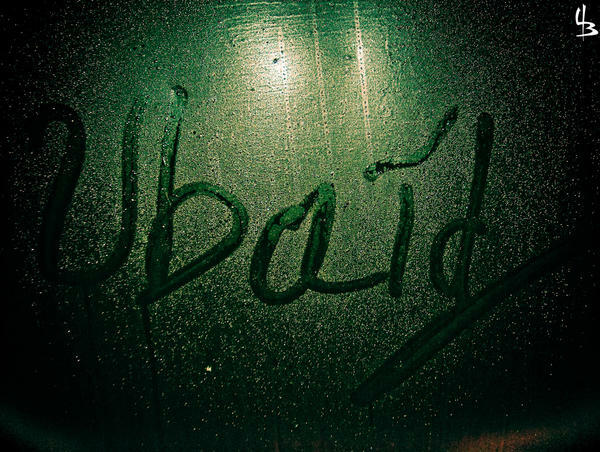 Oh yeah I'll always be the self obsessed ubaid... Nothing can change that, but changing the self proclaimed part I NEED. I have always been the excitement of a new found friend.... Yet regret when it comes to an end.... Don't know what's wrong... I know I'm the whisper without meaning, the promise that isn't worth keeping; I'm a tear without weeping, a guardian whilst you are sleeping, I'm the thorn without a rose, the invisible ink when writing prose... But does that make me always right or wrong? I don't think so.